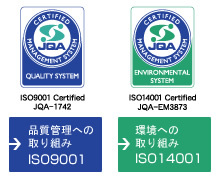 This Website is operated by Hokuyo Automatic Co., Ltd. (“Hokuyo”). The following terms apply to the usage of this Website. Please use this Website only when you agree to the terms. 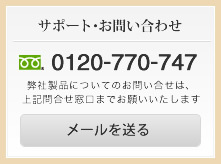 For products not appearing on this Website, please contact the nearest branch, sales office or “Contact” in this Website. Provision of the Contents on this Website by Hokuyo means neither a transfer of the patent rights, design rights, and/or the other intellectual property rights to inventions and designs in the Contents, nor a grant of any rights based on the intellectual property rights. Hokuyo pays full attention to the information that appears on this Website, but does not take responsibility for the following items. Any and all damage incurred by using this Website. ※The image for the Link is only used in the above description, therefore any size alteration is strictly prohibited. ※The above Link Image is only used for linking on the top page of Hokuyo’s Website. Any and all utilization for other purposes is prohibited. Hokuyo firmly refuses Links below and Links likely to relate thereto. Regarding Outbound Links, Hokuyo does not guarantee contents appearing in linked websites, and doesn't take any responsibility for them in no event. Please use them in accordance with the terms of linked websites. Furthermore, as to the Outbound Links, Hokuyo recommends neither the use of these websites nor products appearing on those websites. And, the Outbound Links do not necessarily mean there is an affiliation with Hokuyo. Copyright © 2014 HOKUYO AUTOMATIC CO., LTD. All Rights Reserved.